Nova’s September Performance Tonight and New Tantara Release Pre-order! This is a quick message to let everyone know that the Nova Contemporary Jazz Orchestra is playing at the Shorewood Bar & Grill tonight, September 27. Come on out! As usual, we start at 7pm and will play till 10. Other important news: our recently completed recording consisting of Bill Mathieu compositions is available at Amazon for pre-order. This double disk set, which will be released by Tantara productions and is titled Double Feature Volume 2 , also features Kenton’s exciting 1959 band performing at the Blue Note in Chicago and the Red Hill Inn in New Jersey. As we hinted in our last post here, exciting things are happening with the Nova Contemporary Jazz Orchestra this fall. First, we’re pleased to announce that our 8th CD, Who Says You Can’t Dance to Bebop, will be released soon. We’ll have a big CD release party at the Shorewood Bar & Grill on Tuesday, October 25 at 7pm. 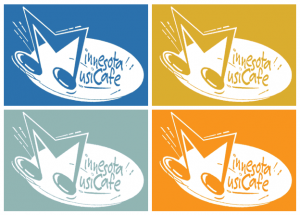 This new recording, which promises to be one of Nova’s best, features 9 works by Minnesotan composers who write in the jazz idiom, some of whom are members of our orchestra. Everyone is invited to our CD release party. Come and bring a friend! Also, see what Barry Harris says about dancing to bebop. What: TCJS/Big Band Scene Stan Kenton 100th birthday celebration and CD Release Party. 1st set: Minnetonka High School Jazz Band I. 2nd Set: Nova Contemporary Jazz Orchestra’s 14 newly recorded works by Bill Mathieu**Nova’s studio recording of these compositions will be released by Tantara Productions. Nova’s new recording, A Time of Reckoning, is now available on iTunes. This means that you can buy tracks from our CD “a la carte,” if you care to. As with other offerings in iTunes, the tracks are encoded in high-quality ACC format, ready to go on your iPod. Simply search for Nova Contemporary Jazz Orchestra at the iTunes store, or follow this link. A Time of Reckoning features 10 musical works by composers with a Minnesota connection, and 3 of the composers are currently members of the orchestra: John Ahern (A Tribute To Francy Boland, West 7th), Bob Byers (Copperhead), and Paul Peterson (Feets, Granicus, Grumblambasamba). Bassist/composer Greg Stinson contributed A Dream of Hungarian Lanterns. Trombonist/composer Steve Devich contributed North Star. The title track is by Dan Cavanagh, who currently teaches at the University of Texas, Arlington, in the Jazz Studies Department. We sincerely hope that listeners of this CD find it musically enlightening and entertaining!